Here in the River Houses we believe in name-dropping. It’s one of the easiest educational techniques you can practice and it helps to “furnish the mind” — and that’s one of the main objects of education. Today is the birthday of the great classical composer Franz Schubert (1797–1828), a name every student should recognize. On Schubert’s birthday, just drop his name into conversation somewhere during the course of the day: “The calendar says this is Franz Schubert’s birthday. He’s a famous composer we can study in a music lesson someday.” And with that, you’ve created a mental “hook” that your students can hang more facts and ideas on as their understanding increases. If you want to do just a tiny bit more, play a little Schubert yourself today — from YouTube or some other source — and mention that he’s the composer of the piece you’re playing. What should you choose? It depends on the effect you want to achieve. As you’re moving through your homeschool day and week, never miss an opportunity to drop a name, or a place, or a date into casual conversation. You may be surprised how many of the names you drop will be picked up, remembered, and made a part of the picture of the world that your students are building for themselves week by week, month by month, and year by year. On this day in 1986, the Space Shuttle Challenger exploded just 73 seconds after launch. All seven members of the crew were lost: Francis Scobee, Michael Smith, Ronald McNair, Ellison Onizuka, Judith Resnik, Gregory Jarvis, and Christa McAuliffe. The Challenger disaster had a disproportionate effect on young people in the United States because crew member Christa McAuliffe was the first “Teacher in Space,” scheduled to broadcast classroom lessons from earth orbit. Tens of thousands of school children across the country watched the launch on live TV and saw the explosion as it happened. The second, from the film Chariots of Fire, is the dinner speech given by the master of Caius College at Cambridge University to the college’s new students in 1919, just after the end of World War I. “I take the war list and I run down it. Name after name, which I cannot read, and which we who are older than you cannot hear, without emotion; names which will be only names to you, the new college, but which to us summon up face after face, full of honesty and goodness, zeal and vigor, and intellectual promise; the flower of a generation, the glory of England; and they died for England and all that England stands for. “And now by tragic necessity their dreams have become yours. Let me exhort you: examine yourselves. Let each of you discover where your true chance of greatness lies. Roger, go at throttle up. 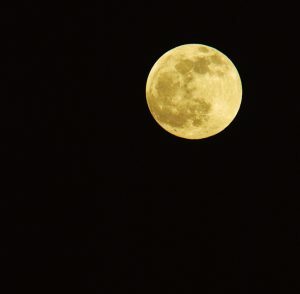 🌖 THE MOON at the beginning of this week is gibbous and waning, an increasingly good time for stargazing! Dial up this week’s constellations with your homeschool star atlas (riverhouses.org/books). 🗓 TODAY (Sunday, 27 January) — Today is the 27th day of 2019; there are 338 days remaining in the year. Learn more about different kinds of modern and historical calendars on pages 358–364 in your River Houses almanac (riverhouses.org/books). ⬩ Today is also the birthday of the great classical composer Wolfgang Amadeus Mozart (1756–1791). MONDAY (28 January) — On this day in 1986, the Space Shuttle Challenger exploded just 73 seconds after launch, killing all seven members of the astronaut crew. ⬩ It’s also the birthday of the great modern choral composer John Taverner (1944–2013). TUESDAY (29 January) — Today is the birthday of Revolutionary war general Moses Cleaveland (1754–1806), the founder of Cleveland, Ohio. ⬩ It’s also the birthday of the great Russian writer Anton Chekhov (1860–1904). WEDNESDAY (30 January) — Today is the birthday of U.S. president Franklin Roosevelt (1882–1945). ⬩ It’s also the birthday of pioneering computer scientist Douglas Engelbart (1925–2013), inventor of the computer mouse and many other standard features of modern computers. THURSDAY (31 January) — Today is the birthday of the great Austrian pianist and composer Franz Schubert (1797–1828). ⬩ It’s also the birthday of baseball great Jackie Robinson (1919–1972), the first African-American to play in the Major Leagues. ⚾️ And on this day in 1930, Scotch Tape first went on the market. FRIDAY (1 February) — On this day in 1942, the Voice of America, the official overseas radio service of the U.S. government, began broadcasting to territories in Europe controlled by the Axis powers. 📻 Our homeschool poem-of-the-week for first week of February is Robert Frost’s wintry classic “Stopping by Woods on a Snowy Evening.” Print your own River Houses poetry calendar (riverhouses.org/calendars) and follow along with us throughout the year. ⬩ And since this is also the first Friday of the month, we’ll post our regular monthly preview today of some of the astronomical events you and your students can be on the lookout for over the next few weeks. 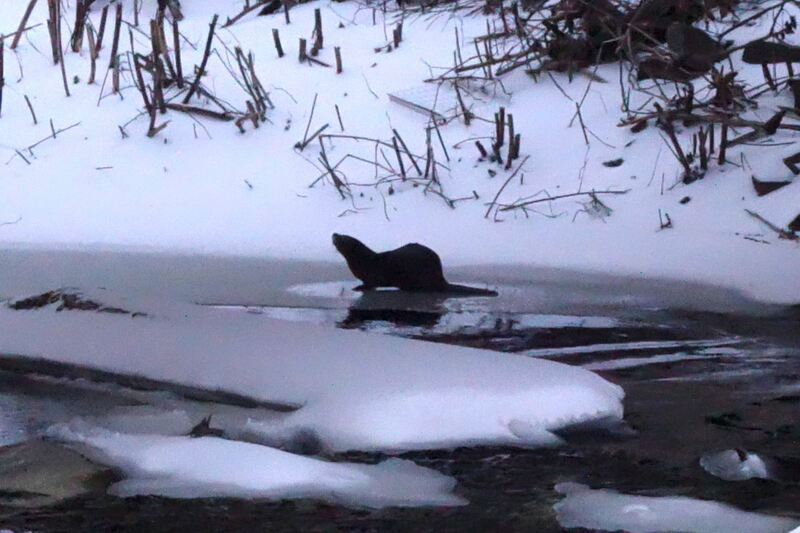 SATURDAY (2 February) — It’s Groundhog Day! ⬩ On this day in 1653, the city of New Amsterdam was incorporated. We know it today as the city of New York. SUNDAY (3 February) — Calling all artists: it’s Color Our Collections Week! ⬩ The Soviet Union’s Luna 9 spacecraft made the first-ever soft landing on the moon on this day in 1966. ⬩ And today is the birthday of the American painter and illustrator Norman Rockwell (1894–1978). 🌎 EVERYTHING FLOWS: Kenya is one of our countries-of-the-week, so our Weekly World River is the Turkwel River, which rises from Kenya’s Mount Elgon and flows into Lake Turkana. You can chart its course in your recommended homeschool atlas (riverhouses.org/books), and you can read more about it in the Turkwel River entry in Wikipedia or perhaps on your next visit to your local library. 🇺🇸 ALABAMA (the 22nd state, 14 December 1819) — The Camellia State. Capital: Montgomery. Alabama can be found on page 563 in your almanac and on plates 42 and 142 in your atlas. Name origin: “Choctaw word for a Chickasaw tribe. First noted in accounts of Hernando de Soto expedition” (almanac page 430). State bird: Northern Flicker (bird guide page 316). 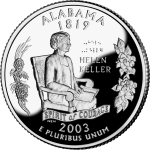 Website: www.alabama.gov. 🇯🇴 JORDAN in the Middle East. Population: 10,458,413. Capital: Amman. Website: jordan.gov.jo (in Arabic and English). 🇰🇿 KAZAKHSTAN in central Asia. Population: 18,744,548. Capital: Astana. Website: www.government.kz (in English, Russian, and Kazakh). 🇰🇪 KENYA in eastern Africa. Population: 48,397,527. Capital: Nairobi. Website: www.president.go.ke (in English). 🇰🇮 KIRIBATI in the Pacific Ocean. Population: 109,367. Capital: Tarawa. Website: www.president.gov.ki (in English). Take a few homeschool minutes this weekend to remember (and listen to) Robert Burns, the national poet of Scotland, born on this day in 1759. 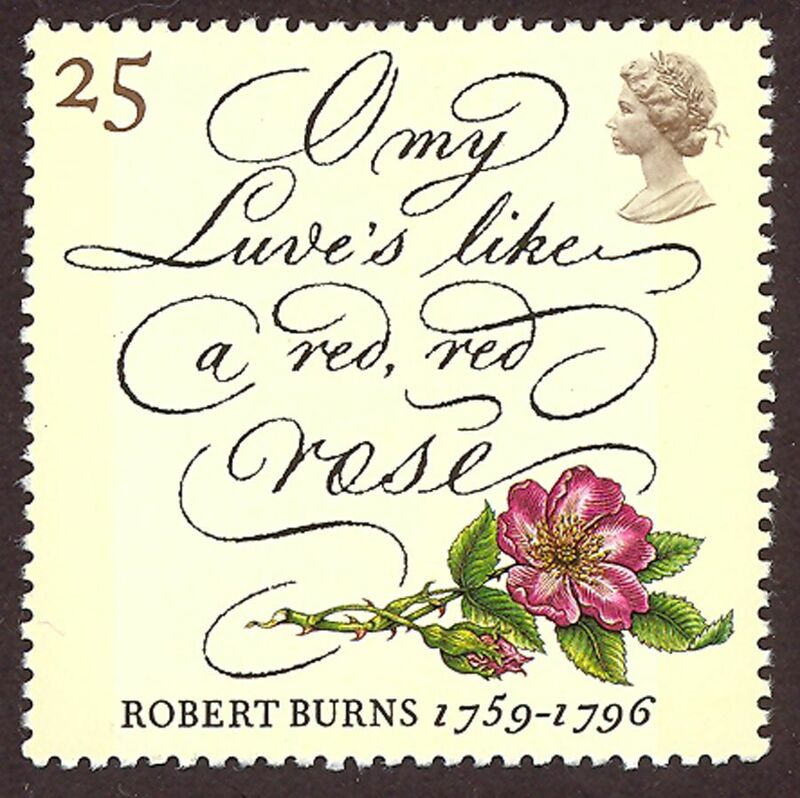 One of a series of 1996 British postage stamps commemorating the poetry of Robert Burns. Happy birthday, Robbie — may your songs be remembered till all the seas gang dry! ❡ Here, said the year: This post is one of our regular homeschool poems-of-the-week. Print your own River Houses poetry calendar for the whole school year at riverhouses.org/calendars and follow along with us as we visit forty-eight of our favorite friends. Great writers are not necessarily great readers, just as great playwrights may not necessarily be great actors. But Auden does very well, I think, and helps to make the sense clear throughout. The poem is divided into three distinct sections; the shift at the beginning of the third section is easiest to hear in Auden’s reading because the third section is fully rhymed and metrical. The current of his feeling failed: he became his admirers. There are a great many lines here that have become famous: “The death of the poet was kept from his poems”; “he became his admirers”; “Earth, receive an honoured guest; / William Yeats is laid to rest: / Let the Irish vessel lie / Emptied of its poetry”; and more. Listen to Auden’s reading a couple of times with your students, pick out a few favorite phrases, and copy them onto your homeschool bulletin board. That’s how you begin a new poetical friendship that can last for life. ❡ Explore more: The Poetry Foundation’s website includes biographical notes and examples of the work of many important poets (including Auden and Yeats) that are suitable for high school students and homeschool teachers. ✝️ RIGHTEOUSNESS Like a Mighty Stream: Remembering Martin Luther King Jr.
Today is Martin Luther King Jr. Day in the United States, and in honor of the occasion, why not pay a (virtual) homeschool visit to the Martin Luther King Jr. National Historical Park in Atlanta, Georgia, operated by the U.S. National Park Service. Browse the National Park Service’s website to learn more, and maybe make plans for a future visit in person! 🌕 THE MOON at the beginning of this week is FULL and there is a TOTAL LUNAR ECLIPSE TONIGHT! Dial up this week’s constellations with your homeschool star atlas (riverhouses.org/books). 🗓 TODAY (Sunday, 20 January) — Today is the 20th day of 2019; there are 345 days remaining in the year. Learn more about different kinds of modern and historical calendars on pages 358–364 in your River Houses almanac (riverhouses.org/books). ⬩ There will be a TOTAL LUNAR ECLIPSE tonight (20–21 January), visible across all of North and South America. It will be a homeschool event not to be missed! 🌕 And fittingly, one of the first two men to walk on the moon, American astronaut Buzz Aldrin, was born on this day in 1930. MONDAY (21 January) — Today is Martin Luther King Jr. Day, a federal holiday in the United States. Lift every voice and sing! ⬩ And, since there was a full moon this past night (and an eclipse! ), that means today we’ll have a report on student research projects from the River Houses Lunar Society. TUESDAY (22 January) — Today is the birthday of two great English poets: John Donne (1573–1631) and George Gordon, Lord Byron (1788–1824). 🖋 And speaking of poets, our homeschool poem-of-the-week for last week of January is W.H. Auden’s “In Memory of W.B. Yeats,” for Yeats, who died 29 January 1939. Print your own River Houses poetry calendar (riverhouses.org/calendars) and follow along with us throughout the year. WEDNESDAY (23 January) — Today is the birthday of John Hancock (1737–1793), president of the Continental Congress and the most flamboyant signer of the Declaration of Independence. ☤ And on this day in 1849, Elizabeth Blackwell graduated from the Geneva Medical College in New York, becoming the first woman to receive a medical degree in the United States. THURSDAY (24 January) — On this day in 1848, James W. Marshall discovered gold at Sutter’s Mill, California, touching off the great California Gold Rush. 🍏 And on this day in 1984, Apple Computer introduced the Macintosh, and 1984 wasn’t like 1984. FRIDAY (25 January) — Today is the birthday of the great Scottish poet Robert Burns (1759–1796), aye. SATURDAY (26 January) — The world’s largest diamond, the Cullinan diamond, was found on this day in 1905 in the Premier mine near Pretoria, South Africa. 🏞 And on this day in 1915, Rocky Mountain National Park was established by an act of the U.S. Congress. SUNDAY (27 January) — Today is the birthday of the great classical composer Wolfgang Amadeus Mozart (1756–1791). 🌎 EVERYTHING FLOWS: Italy is one of our countries-of-the-week, so our Weekly World River is the ancient Po River, the longest river in Italy. You can chart its course in your recommended homeschool atlas (riverhouses.org/books), and you can read more about it in the Po River entry in Wikipedia or perhaps on your next visit to your local library. 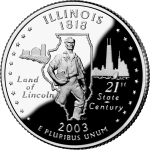 ILLINOIS (the 21st state, 3 December 1818) — The Prairie State. Capital: Springfield. Illinois can be found on page 569 in your almanac and on plates 41 and 142 in your atlas. Name origin: “French for Illini or ‘land of Illini,’ Algonquin word meaning ‘men’ or ‘warriors’” (almanac page 430). State bird: Northern Cardinal (bird guide page 522). Website: illinois.gov. 🇮🇱 ISRAEL in the Middle East. Population: 8,424,904. Capital: Jerusalem. Website: www.gov.il (in Hebrew, English, and several other languages). 🇮🇹 ITALY in southern Europe. Population: 62,246,674. Capital: Rome. Website: www.governo.it (in Italian). 🇯🇲 JAMAICA in the West Indies. Population: 2,812,090. Capital: Kingston. Website: jis.gov.jm (in English). 🇯🇵 JAPAN off the east coast of Asia. Population: 126,168,156. Capital: Tokyo. Website: www.japan.go.jp (in English). We have an extra homeschool poem this week, for tonight’s grand astronomical event: a beautiful sonnet-masterpiece from Thomas Hardy (1840–1928) that asks three questions and gives no answers. Why not read it with your students tonight. ❡ Count and map: When you introduce your students to a new poem, especially one in a traditional form, the first thing to have them do is count the syllables and map the rhyme scheme. How many syllables in each line in this poem? Ten throughout. (And that gives you a clue about how certain words should be pronounced: Heaven’s is one long syllable, not two.) The ten syllables in each line follow a generally iambic pattern, with the accent on the second syllable of each pair (most of the time). That makes this poem iambic pentameter. What about the rhyme scheme? The first two stanzas are sea–shine–line–serenity and symmetry–thine–divine–misery. That looks like ABBA ABBA. The next six lines follow a different pattern: CDE CDE. By uncovering these details of structure your students will come to appreciate good poems as carefully crafted pieces of literary labor. ❡ Explore more: The Poetry Foundation’s website includes biographical notes and examples of the work of many important poets (including Thomas Hardy) that are suitable for high school students and homeschool teachers. Just a reminder that there is a total lunar eclipse coming this Sunday night and Monday morning (20–21 January 2019). It will be visible across all of North and South America, weather permitting, and will be a homeschool event not to be missed. 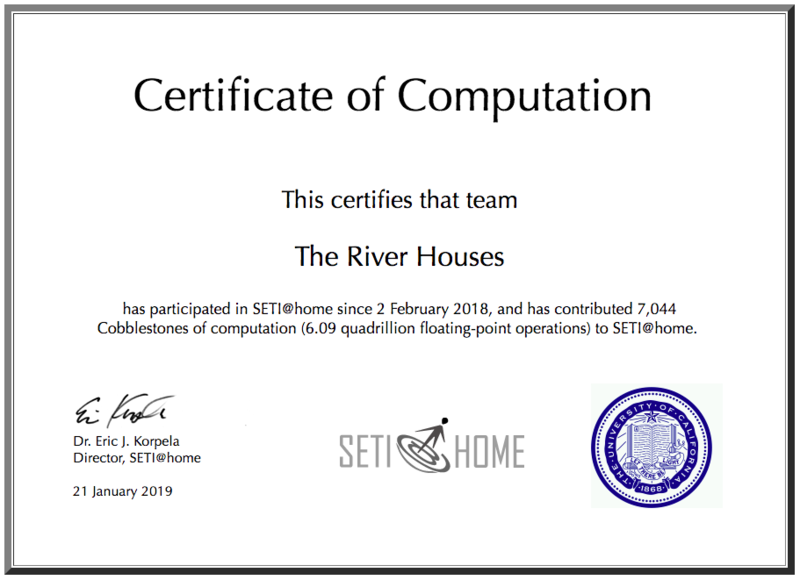 So if it’s too snowy or too rainy or too cold to go out, you and your homescholars can spend a successful eclipse-viewing evening right at home by your fireside. 🐦 NATURE NOTES: The Great Backyard Bird Count is Coming! If you’re looking for a simple homeschool science and nature project this winter, you won’t find anything better than the Great Backyard Bird Count scheduled for 15–18 February. Now’s the time to put it on your calendar. 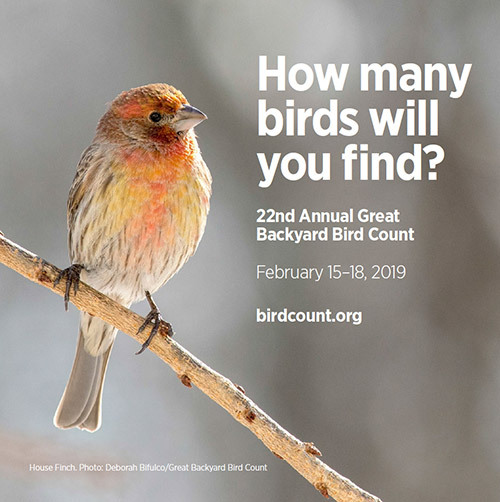 “Launched in 1998 by the Cornell Lab of Ornithology and National Audubon Society, the Great Backyard Bird Count was the first online citizen-science project to collect data on wild birds and to display results in near real-time. “Now, more than 160,000 people of all ages and walks of life worldwide join the four-day count each February to create an annual snapshot of the distribution and abundance of birds. 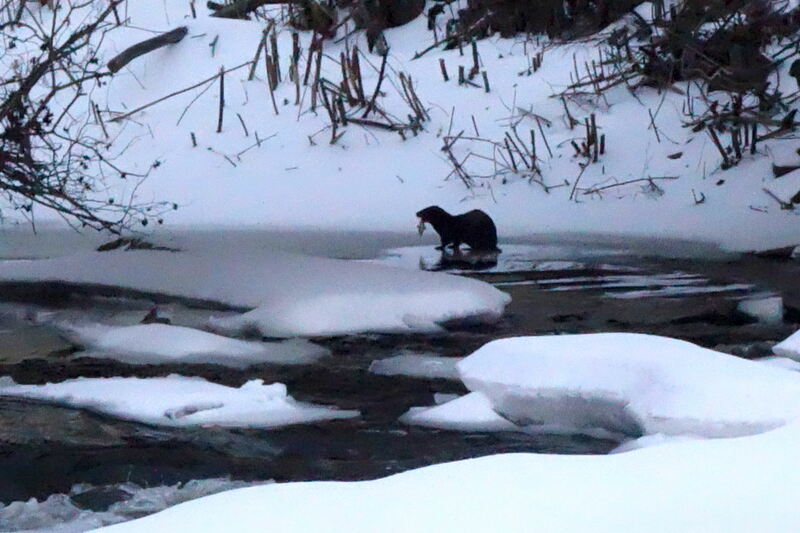 What outdoor discoveries have your students made lately? 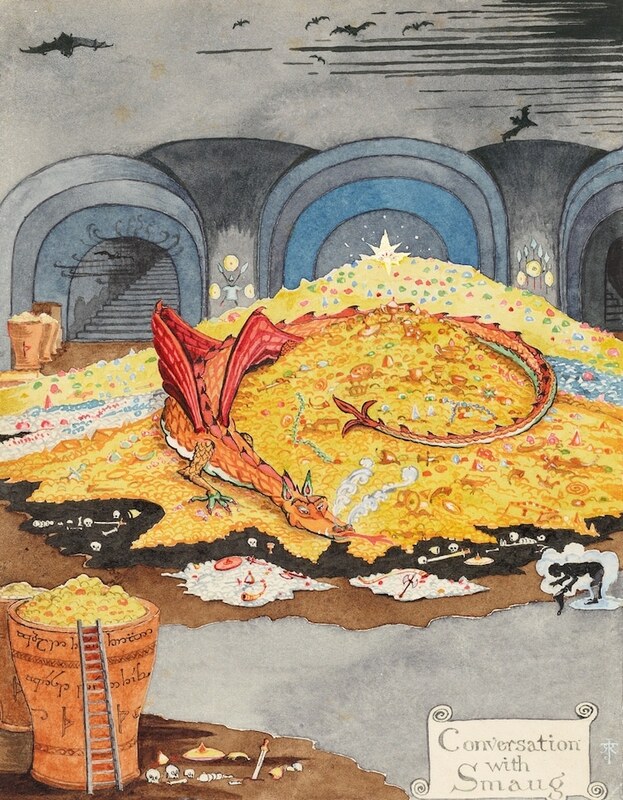 The exhibit will feature many of Tolkien’s own drawings and illustrations of characters and scenes as he envisioned them. The exhibit in New York will run from 25 January to 12 May, and will include a wide range of on-site special events, some of which may be recorded and posted online. Keep an eye on the Morgan Library’s exhibit page for details as they develop.